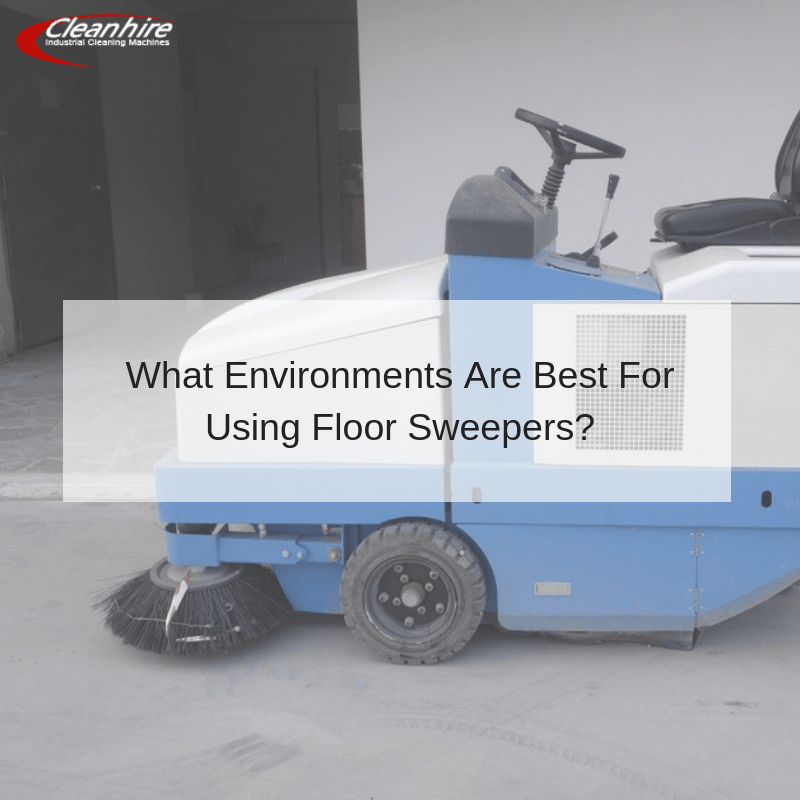 What Environments Are Best For Using Floor Sweepers? Professional floor sweepers represent a quick and reliable means to tackle even the toughest of tasks. Not only are these units built to last, but Cleanhire provides a range of sizes and dimensions to choose from. Still, it is important to appreciate that such machines are only suited for specific environments. Making the correct choice when the time is right will depend upon the location as well as the surface that needs to be cleaned. Let’s take a quick look at the typical environments that can benefit from the presence of these modern technological marvels. Commercial spaces such as showrooms and malls will require clean and safe floors at all times. Not only does this contribute to the appeal of the location in question, but such tasks represent priorities from a safety point of view. As some of these environments can be quite large, specific units such as ride-on floor sweepers could help to increase level of efficiency. It should also be pointed out that Cleanhire is fully capable of providing a used industrial floor sweeper when desired. These refurbished units represent an excellent choice for companies on a limited budget and yet, their cleaning capabilities are never comprised. When we take into consideration that well-known brand names such as Comac and Tennant can be selected, it becomes clear to appreciate the advantages associated with this option. While modern floor sweepers might not be entirely suited for domestic use, there is no doubt that they are able to provide numerous benefits within the industrial and commercial environments. If you would like to learn more about the line of products and services that Cleanhire has to offer, please contact us at your disposal.